I've got some problems with the EKF2 using high precision motion capture data as vision input. I configured everything according to the [PX4 Dev Guide] concerning [Discuss 9154], [Issue 7408], [Issue 8520], [Issue 10146], [Issue 10172], and [Issue 10310]. So if anyone has any further input, be it another issue on GitHub or one's solution to this, I'd really appreciate it. 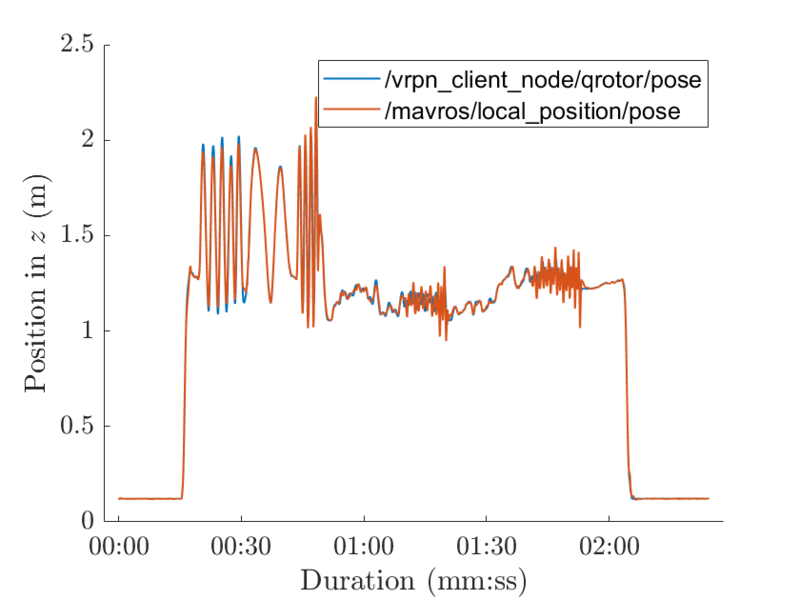 Lowering the rate of pose information from the mocap system. Trusting the mocap system more than normal (lowering the noise params and raising the gate size). 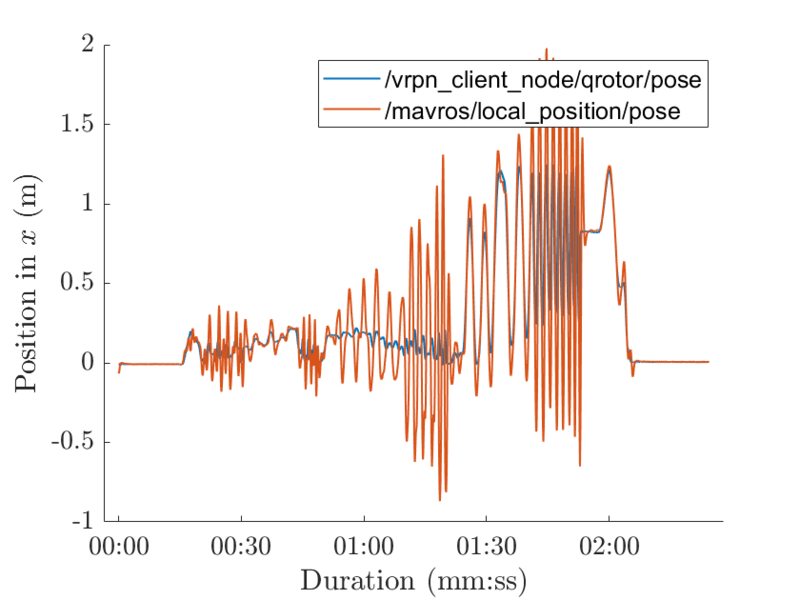 Not trusting the IMU/Gyro data (raising the noise params). Aligning the IMU center to the center of the mocap data via EKF2_IMU_POS_X, EKF2_IMU_POS_Y, and EKF2_IMU_POS_Z. 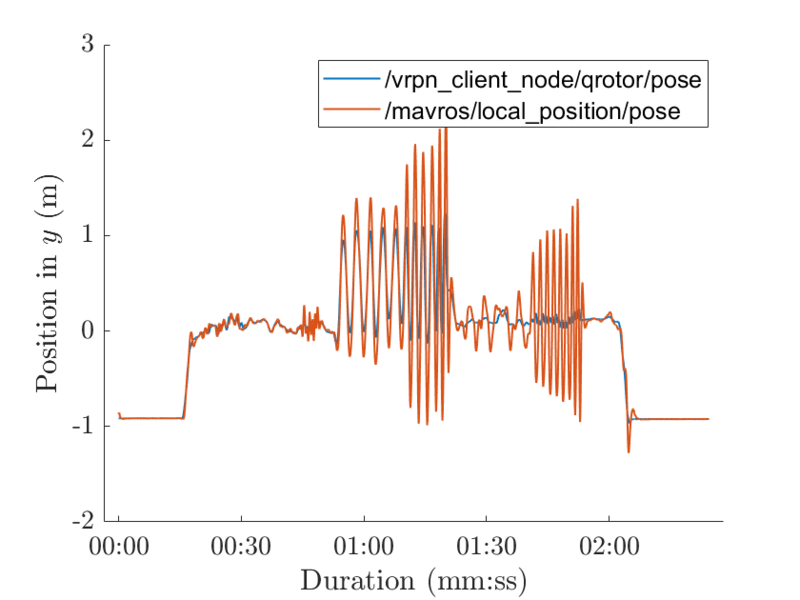 While the position (/mavros/local_position/pose) generally follows the mocap pose, a lot of times, it overshoots. Often it also starts oscillating while the pose is changed only a little, mostly to my inability to really fix an axis by hand. In general, the results are not stable as it seems that the EKF still does not trust the pose information from the mocap. Moving my quadrotor by hand, trying to only move it along one axis and fixing the other two (completely fixing its orientation).